Through questions, it is possible to discover, in the thick of discord, how to free ourselves from its all-consuming grip, how to gain insight into what got us stuck, transform the ways we interact with our opponents, turn criticisms and complaints into openings for improvement, and evolve to higher levels of skill in conflict resolution. Through skillful questions we can begin to move into the heart of conflict and initiate open, honest, vulnerable conversations that allow people to work through their conflicts, where resolution, transformation and transcendence suddenly, inexplicably, exquisitely unfold. All dispute resolvers – mediators, negotiators, facilitators, coaches, attorneys, human resource practitioners, psychologists and others can enhance their skills by asking deeper questions that reveal some new element or facet of the problem that transforms it and makes it resolvable; or that exposes its hidden dynamics and suggests new paths forward. Please note the date changes for our March course. Please note: Class is limited in size. Class registration closes one week before registration. If your local time is not listed above, we recommend using this Time Zone Converter or contact us. 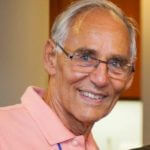 This live and in-real-time course presents a unique opportunity to interact with Ken Cloke, often described as one of the original world pioneers of mediation. He is one of two founders of Mediators Beyond Borders, International and served as its first President and Chair of the Board. As Director of the Center for Dispute Resolution, Mr. Cloke has served as a mediator, arbitrator, attorney, coach, consultant, and trainer. He specializes in resolving complex multi-party conflicts which include: community, grievance and workplace disputes, collective bargaining, negotiations, organizational and school conflicts, sexual harassment and discrimination lawsuits, and public policy disputes. He also provides services in designing conflict resolution systems for organizations. Mr. Cloke is a nationally recognized speaker and best-selling author of many books and journal articles on mediation. Completion of this course earns four (4) credit hours of interactive, virtual classroom time. e.g. "1 Year full-time" or "X hours"
We currently accept PayPal payments, payments by credit card may be processed using guest checkout at the PayPal checkout screen. Feel free to check the security of this site by inspecting the GoDaddy Security Seal on the right.